After making significant progress yesterday we are now changing out drilling bit so that we can complete our penetration to the igneous basement at the bottom of the Laxmi Basin. This gives me the opportunity to introduce you to one of our physical property team, Dr. Annette Hahn from the University Bremen in Germany. 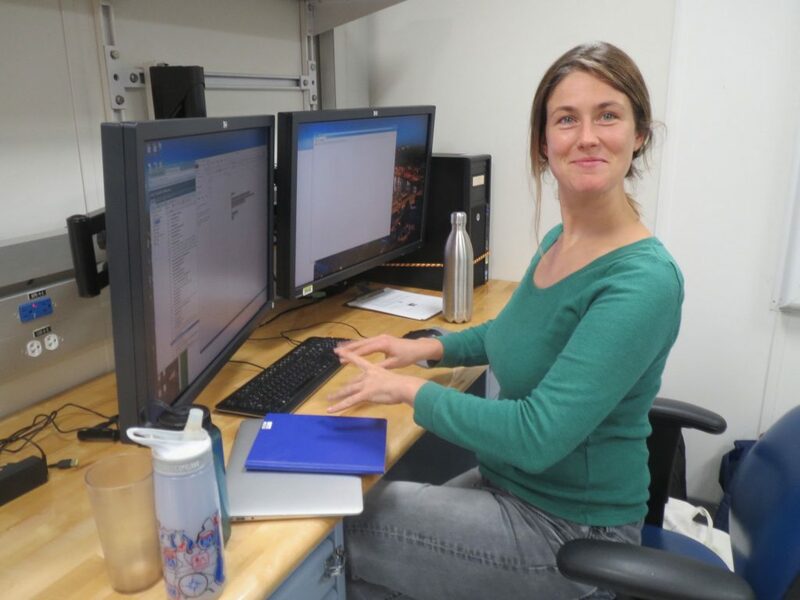 Annette helps collect a variety of measurements on the cores and is a constant and cheerful presence in the core lab. When she is at home Annette is a geochemist and works to reconstruct past environments. She has worked with lake records in South America with our friends at ICDP and most recently started work on the sediments of the Orange River, examining source-to-sink related issues. We hope that she finds the sediments delivered by our friend the Indus to her liking too!